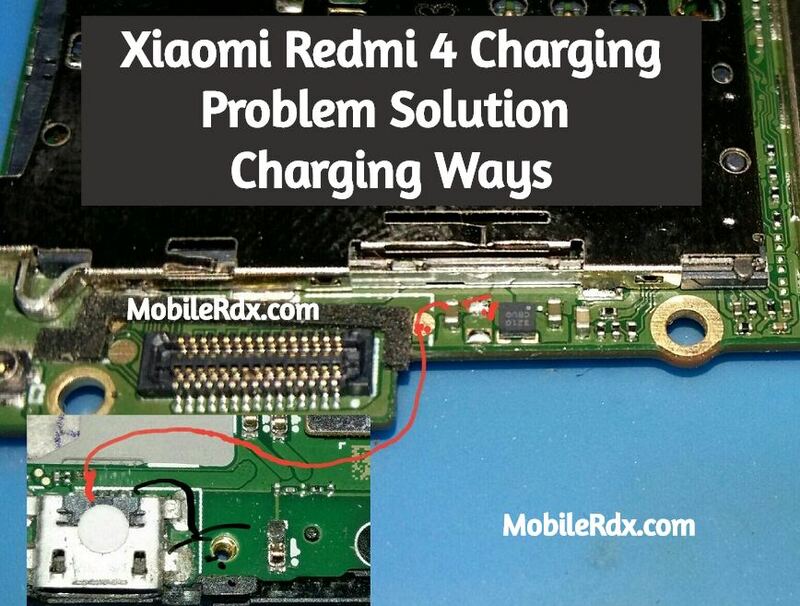 Here I will discuss the problem of charging Xiaomi Redmi 4mobile, This mobile charging problem does not easily make a bad part, and though it is worse, the charging connector. So this mobile charging problem arises Then first switch the charging connector. And if the problem is not resolved even after the charging connector is changed. If you see the picture that I gave the picture, your jumper. Below I’ll tell you to step by step, how do you solve this problem. In the below image we draw the Xiaomi Redmi 4 charging ways and its jumper check continuity using a multimeter if any track damage makes a jumper on Redmi Note 3 motherboard. After doing this, put the mobile phone in charge once, After doing these things, if the mobile is solved then fitting the mobile, If the problem is not solved after doing these, then I have given a picture below to do the job. After the mobile phone disassembles, you will need to take some steps shown in the diagram above. Chalk Charging jack and its points do they have good value if yes, then change the changer and check it and if the motherboard does not see the accurate value with the charging points, then after the dissatisfaction of the mobile phone you get something shown in the above diagram You have to take steps. Check Charging jack and its points are good values if yes, then change the changer and check it and if the motherboard does not see the accurate value with charging points, then you will see all the parts and tracks given in the diagram of Xiaomi Redmi 4 Are to investigate. If any corrosion or carbon and water damage or any component are damaged, then the motherboard should be replaced carefully. If a track is lost then the jumper is applied and if any part is damaged or broken, replace it with the new one. More information about this problem and solutions for new tips and tricks are going to this page, if there are new updates, there will be updates. Below are some related posts, you can read more about mobile phones.